Art, culture, performance, sound and language have the power not just to reflect society but also to instigate change and thus to shape it. Europe in 2018 is far from the liberal role model many want it to be, and thought it was. Society is fragmented and fundamental principles of living together in a respectful and democratic, diverse and shared community are being called into question, indeed undermined. Fear-mongering and ignorance in the face of human need are being imbued with political acceptability as right-wing nationalist parties are elected into governments across Europe. The flood of migrants, whose reasons for fleeing their countries are often rooted in Western colonial exploitation and failure to help in time, is seen as a threat. Threatening, though, is the separation, the “us – and – them” mentality, the endorsement of differences in rights and privileges based on where you were born. ALARM! The evening and its underlying concept are a reminder, a discourse, a call to the most basic elements of humanity and society. The situation we are in should not be marked by political preference or allegiances but by the most basic, fundamental facts of living together that make society possible. ALARM! Art, culture and discourse can and do instigate change. 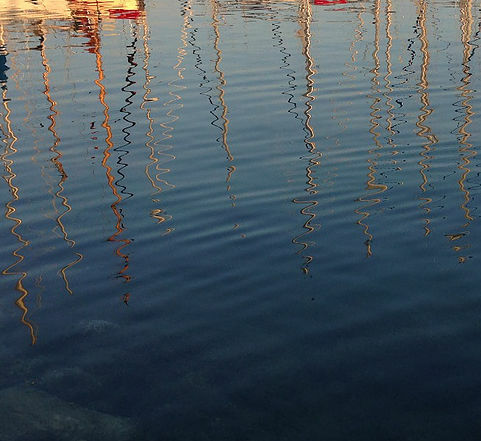 As practices and platforms, individual instances of creativity with broader resonances, they can reflect, distill, formulate and emanate not just their immediate context but also collective histories and future possibilities. ALARM! The evening will commence with a reception, followed by a podium discussion between Dragica Rajcic and Johann Pätzold, hosted by Colette Schmidt, a cultural journalist who writes for the Austrian Der Standard and lives in Vienna. She also specializes in reporting on far-right extremist movements, human rights and the politics and culture of remembrance. 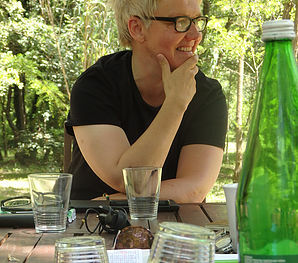 As an author, she is a member of the Austrian theatre collective Theater im Bahnhof. 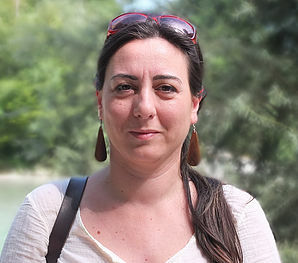 Dragica Rajcic is a Croatian poet and thinker who lives between Austria, Switzerland and Croatia. She writes in the German she learned when she moved to Switzerland; the title of her first published volume of poetry reflects the linguistic and semantic background: Halbgedichte einer Gastfrau. Her work moves intellectually in the frictional space between syntax and semantics, between the expected and the other, between foreignness and the concept of home. Her partially autobiographical writing illuminates the concept of the generality that can grow out of an own trajectory and the shared elements inherent in individuality. 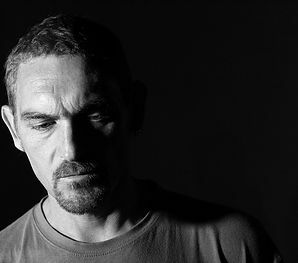 Johann Pätzold is a musician and composer and an active member of Sea-Eye, an organisation dedicated to saving migrants from the Mediterranean sea. He worked on a lifeboat and recently published a number of statements online, answering questions posed to him during and after his time at sea. His stories and language reflect the potential brutality in our societies and nonetheless shine with the hope of an absolute imperative amongst some of us to help those less fortunate than ourselves. 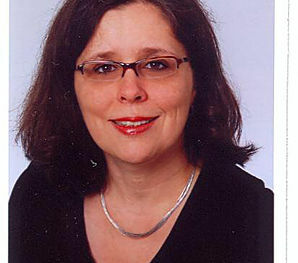 Sandra Kocuvan is an EU project advisor and represents the cultural department of the Austrian state of Styria in its external and foreign relations. 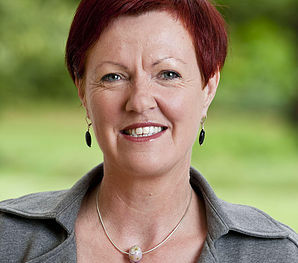 She is also a member of the Alp-Adriatic Alliance committee. ALARM! Art, music, discourse and social change are incredibly broad concepts and the evening does not intend to cover comprehensively any single aspect of any of the greater spheres. 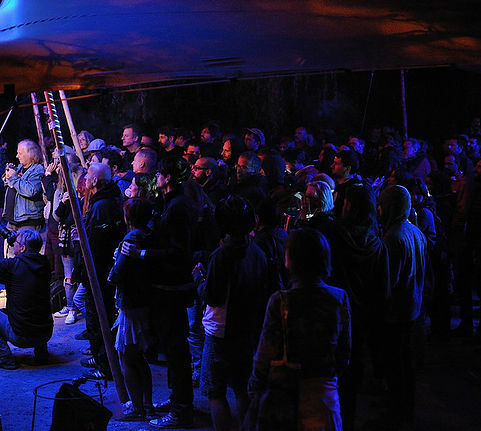 The evening brings audiences and participants together in a reflective space combining dialogue and performance. ALARM! 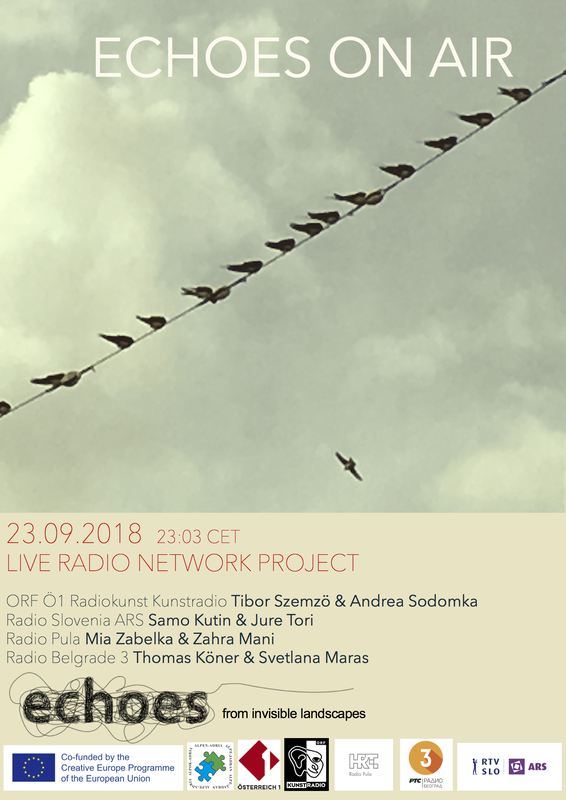 Following the live conversation and audience conversations, there will be a short break followed by musical performances by Tamara Obravac with Uroš Rakovec, Tibor Szemzö, Juri Tore, Roberto Paci Dalo, Benjamin Finger, Mia Zabelka and Zahra Mani. Download Press Sheet here ALARM! 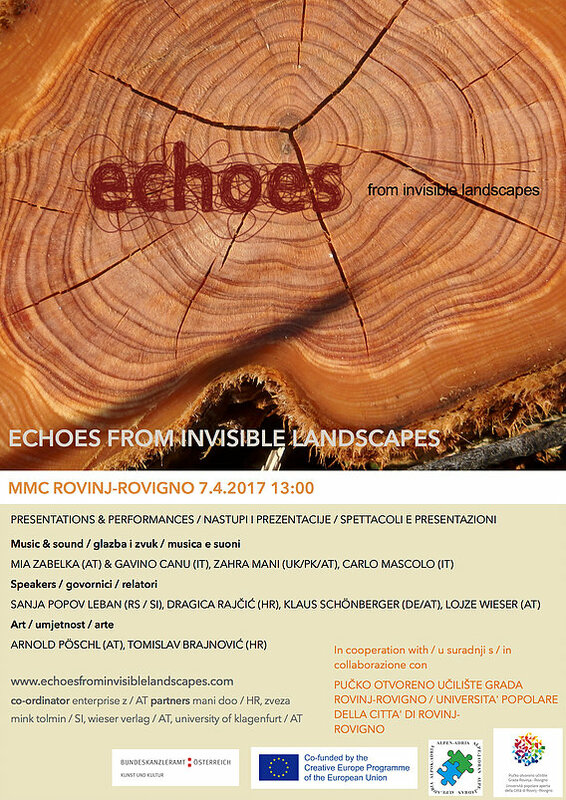 Echoes from invisible Landscapes was launched in July 2016 as an interdisciplinary cultural network spanning the Alp-Adriatic region with curatorial partners from Austria, Slovenia, and Croatia. 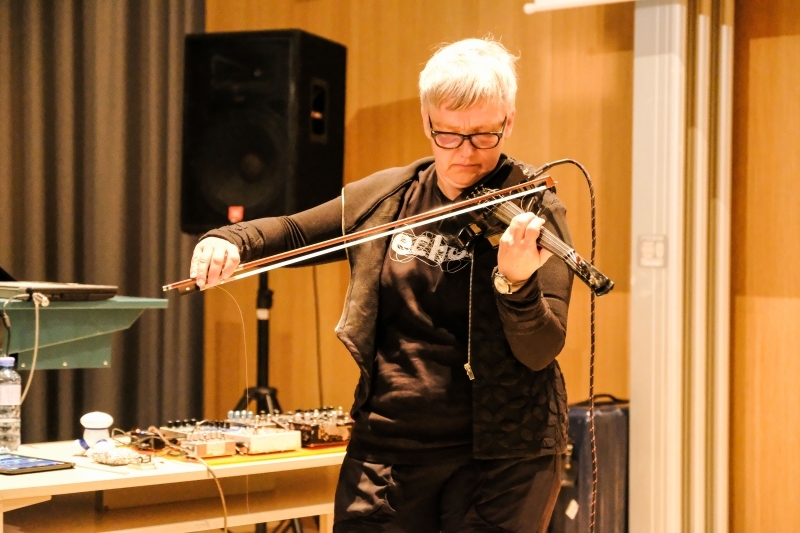 Enterprise Z invited artists and project participants to collect acoustic “images” from the region and collated them in a sound map, which has been used as the basis for various performances and workshops in the course of the project. 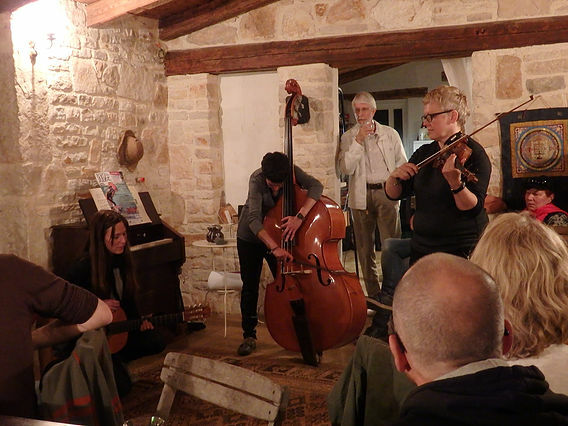 The Sound of Europe was conceived as an archive for the acoustic echoes of the region. Now, approaching the end of the project, Enterprise Z has taken stock of the sonic fragments and is bringing them back into the regional landscape. 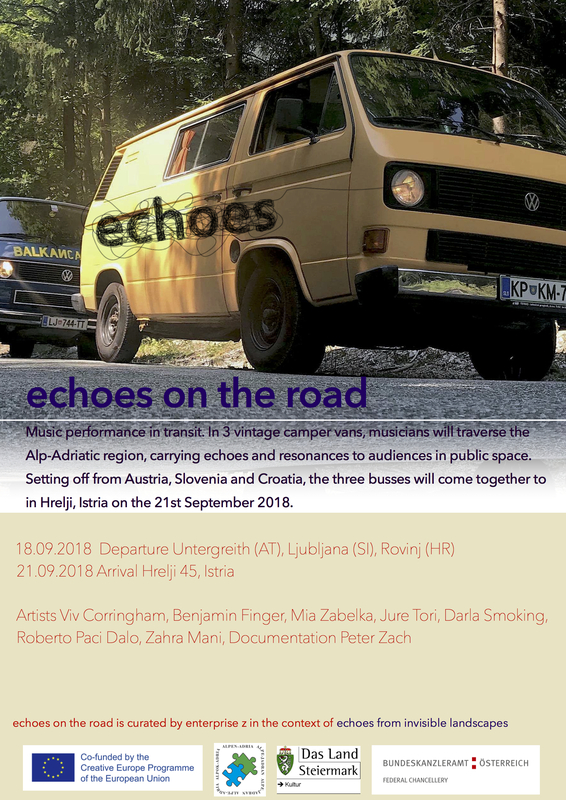 On the 18th September 2018, 3 groups of musicians will set off in retro camper vans to carry live resonances of the Alp-Adriatic region through the landscape. Starting in Austria, Slovenia and Croatia, each camper van will visit various public spaces, some of which will be announced and some of which will be spontaneous interventions. The artists on board will play for passers-by, engage in dialogue with people and places, and move on. The process is an ongoing exchange, a dialogue between sounds and places, and between people. The performances can entertain, irritate, fascinate or instigated questions and conversation. The project is an artistic journey whose essence is in the process, the travel, the encounters and the landscape. 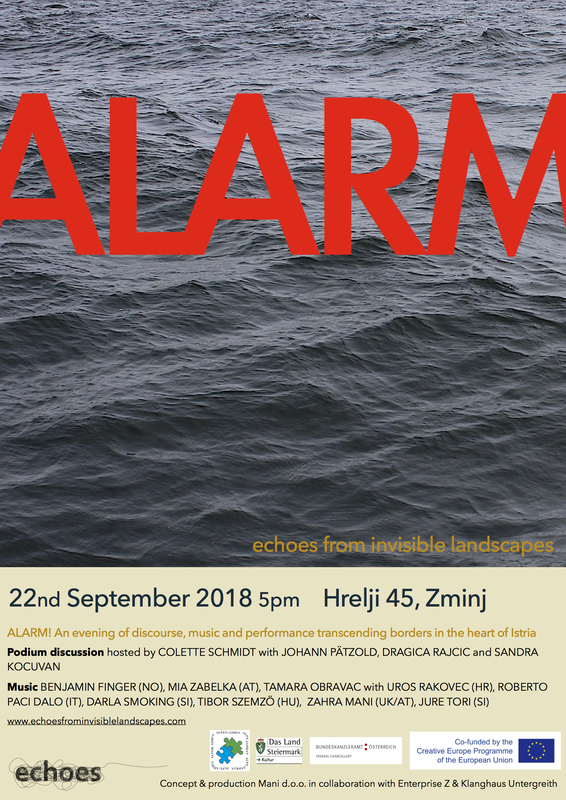 On the 21st September 2018, the vans come together at Hrelji 45 in Istria, where Echoes partner Mani d.o.o. 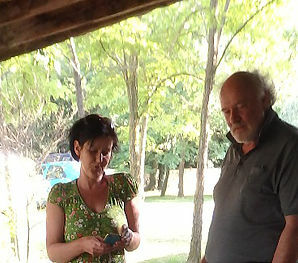 and Enterprise Z will host the artists and visitors in an informal exchange between artists, participants and visitors. So lautete der Titel einer Veranstaltung, die am 21. 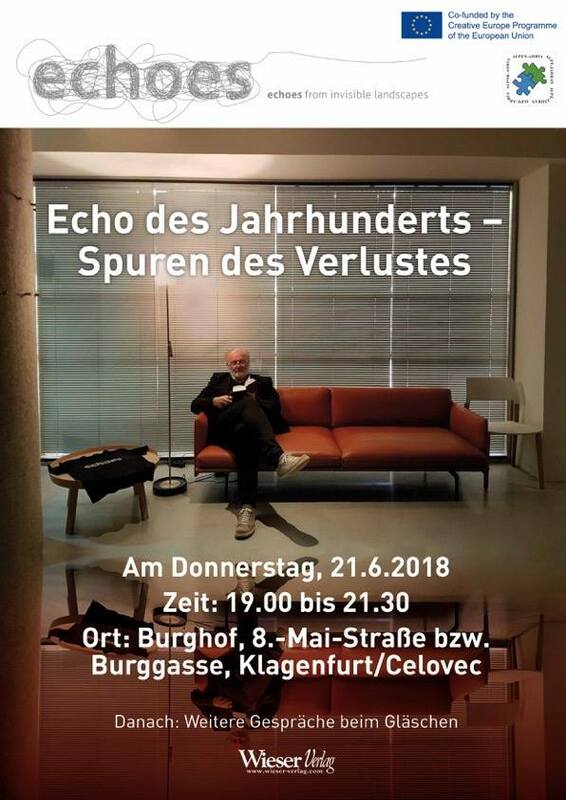 Juni 2018 im Burghof in Klagenfurt/Celovec stattgefunden hat. In einer Montage aus Versen, literarischen Zitaten, Improvisationen und musikalischen Impressionen wird dem letzten Jahrhundert in Bruchstücken aus Wort und Ton nachgespürt. ECHOES WALL: Visitors took their (Polaroid) picture of the Görtschitztal. RE.SOUNDING GÖRTSCHITZ – ECHOES OF A VALLEY. Performance by Zahra Mani & Mia Zabelka. AUCH UNTER DEN VEILCHEN GIBT ES KEINE GERECHTIGKEIT. On the read-aloud divan: Lojze Wieser was constantly reading from the volume "Echo des Jahrhunderts". On Opening Evening (13th april) nearly 1.000 people visited the exhibition and the performances. At the location Klagenfurt totally 8.000 people visited the “Lange Nacht der Forschung”, which was advertised online throughout Austria and in Carinthia in a printed program too. 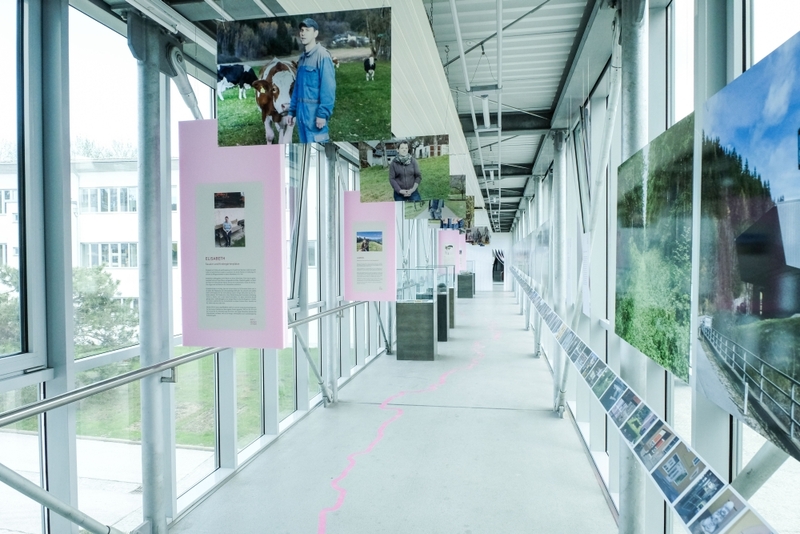 The Exhibition was curated by Barbara Maier (Kulturagenden / Wissen schafft Kunst an der AAU) based on the conception of the Klagenfurt Team: Ute Holfelder, Barbara Maier, David Mase, Roland W. Peball, Arnold Pöschl, Klaus Schönberger und Nadine Thaler. 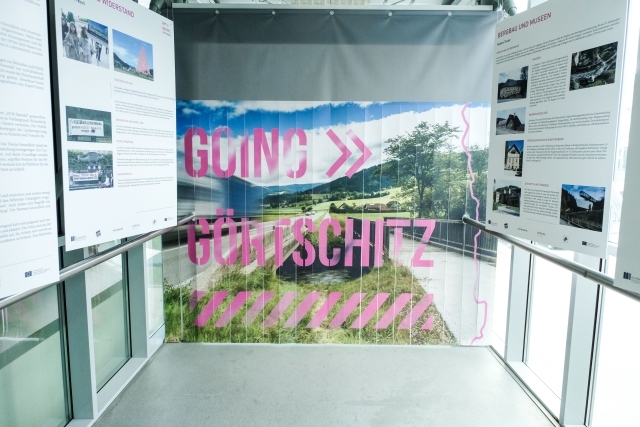 The exhibition GOING GÖRTSCHITZ was created in the subproject "Selfies in the Görtschitztal", it was funded by the Institute for Cultural Analysis, WISSEN SCHAFFT KUNST and the ECHOES-Project. Video report by Hannah Reichmann, Nina Weberhofer and Friedel Hans. 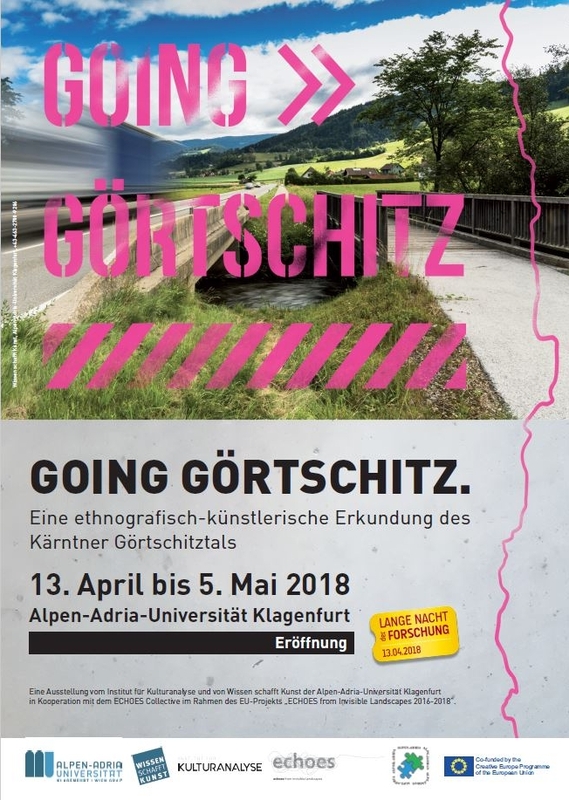 An ethnographic-artistic exploration of the Carinthian Görtschitztal + exhibition 13.4-5.5.2018 + project presentations with Zahra Mani & Mia Zabelka (music performance), with Lojze Wieser (book presentation) and multimedia installations by UNI contributors as well as several interviews on site with visitors to the exhibition "GOING Görtschitz ". 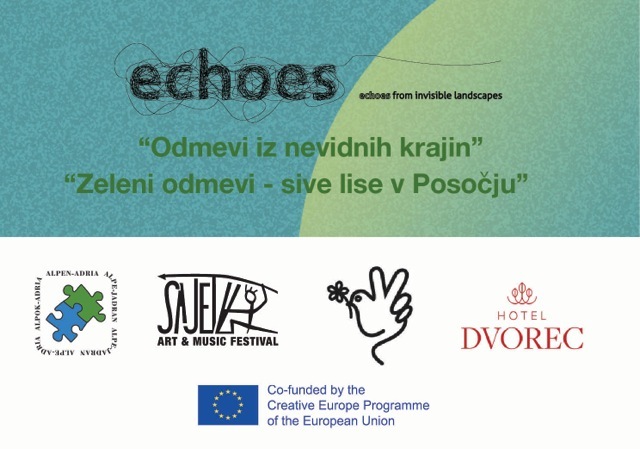 The Exhibition was supported by EACEA and AAA in the context of Echoes from Invisible Landscapes. 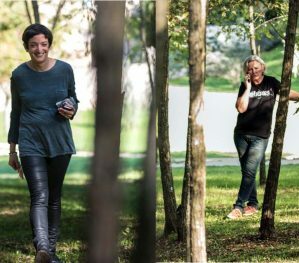 Erika Hornbogner and founder Lojze Wieser are representing Wieser Verlag in Echoes from invisible landscapes. 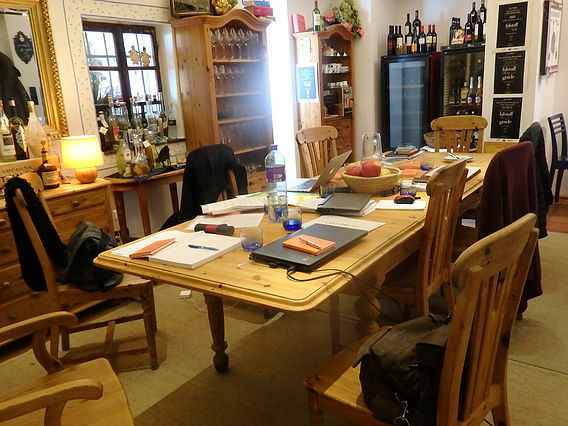 Wieser Verlag from Klagenfurt/Celovec (Carinthia, Austria) has been building bridges between the East & the West for the last 30 years with its publishing programme. 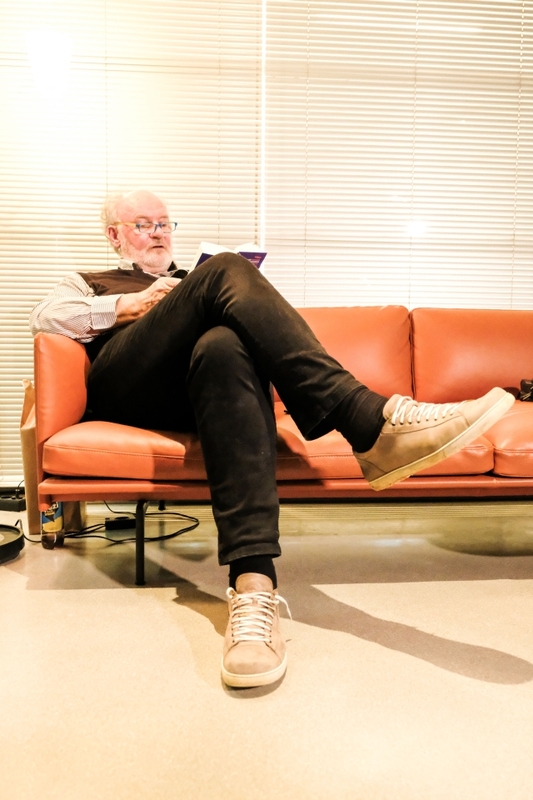 Lojze Wieser has published approximately 1200 books to date, he was the founder of the "Wieser Enyclopaedia of Eastern Europe" & the exceptional series "Europa erlesen" ("reading Europe") anthologies, which include almost 10000 texts by 4000 authors. 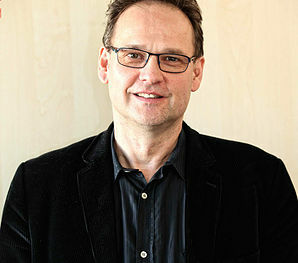 Wieser Verlag disseminates Slovene, Croatian, Serbian, Albanian, Bulgarian, Romanian, Hungarian, Czech, Slovakian & Polish literature in German-speaking countries & has been responsible for seminal translations, creating a platform & opening doors for writers who were not yet known in Austria, Germany and Switzerland. Lojze Wieser is deeply committed to the European idea, fostering it through art & language, and in his television series "The Taste of Europe" exploring food & regions, in addition to his active involvement in the cultural forum "Geist und Gegenwart" in Austria. 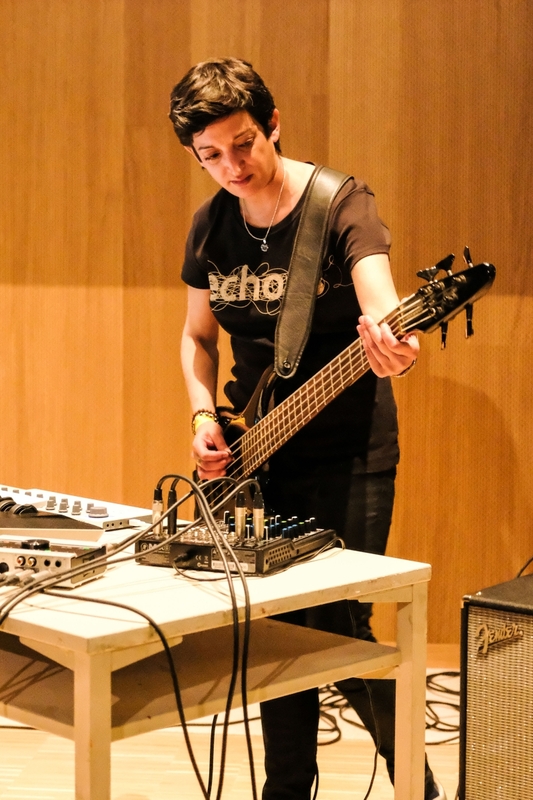 Mia Zabelka, composer, musician and curator, founded Enterprise Z in 2002. 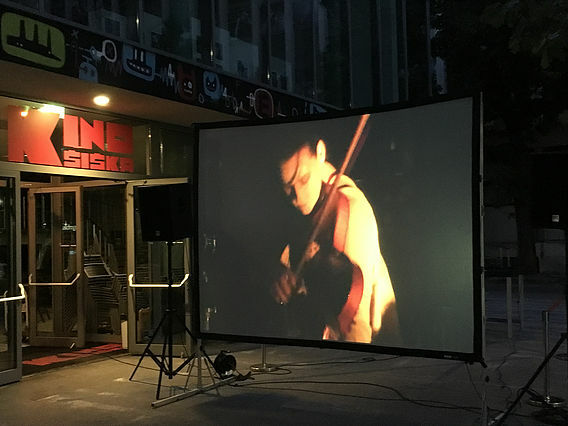 The cultural organisation, which is dedicated to the realisation of contemporary art performance projects in public space, has pioneered a number of regional, national and border-crossing initiatives that provide a platform for artists and create synergies between audiences, cultural actors and curatorial groups. Enterprise Z was co-ordinator of the EU co-funded project "Phonart - the Lost Languages of Europe" 2010 - 2012 and curates a number of cultural events in Austria including the biennial Phonofemme Festival, which was launched in Vienna in 2009, the regular "Klangfest" events and artist residencies at Klanghaus Untergreith, Global Kids (workshops for children), amongst many other initiatives. Strands of identity, places and people are woven together to make up the cultural landscape. These strands leave physical, cultural, individual, emotional, historical, ethnic, linguistic and social traces; traditions, places, memories and forgetting are the fabric of peoples' lives – collective memories woven into the landscape. Art and culture are expressions of people from and in places and traditions that transcend boundaries by being audible, visible, able to be perceived. Lost landscapes, places and traces are subsumed by new social, political, geographic situations but they remain and find new expression in new encounters. Echoes are a form of communication. Artists and researchers are invited to seek these echoes together, to discover and reflect on elements of culture and society, of progress and communities, creativity and separation. These refections give rise to new work, responses to the discovered traces, which generate their own resonances. 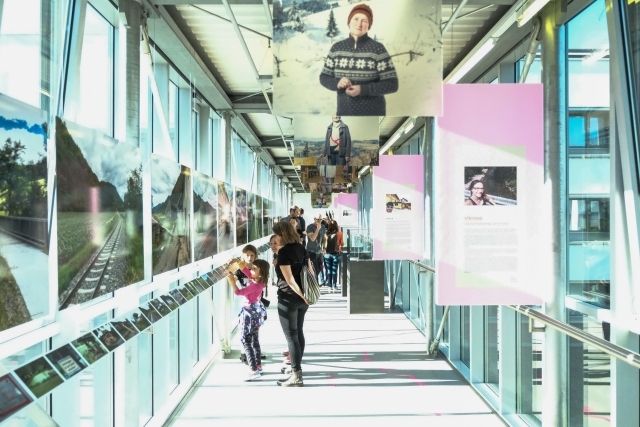 The project intends, by inviting participants to engage more closely with the hidden layers of their surroundings, to catalyse a subtle movement against the contemporary dominance of individuality and materialism in society, encouraging a shift towards a climate of social tolerance and respect for people and landscapes. ECHOES emanate from individual and collective histories of people and their natural or constructed surroundings. Landscapes stand for material and immaterial heritage, for culture as the basis of individual and group identity. 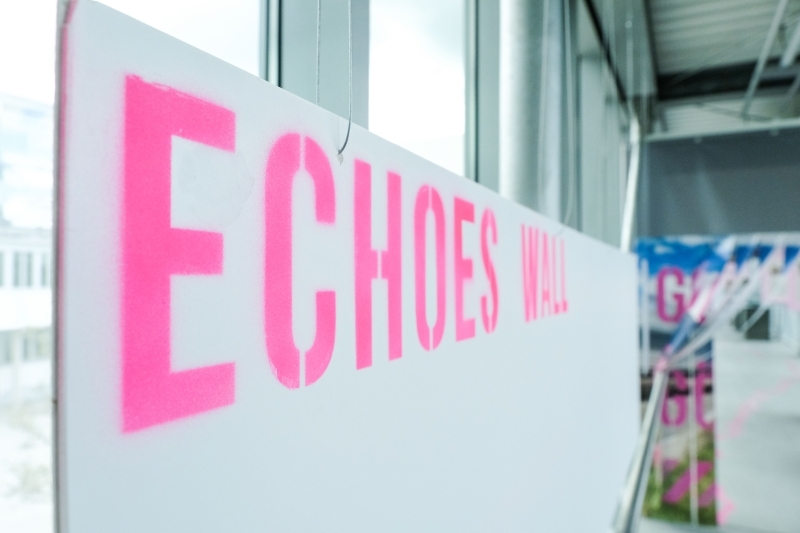 ECHOES invites diverse artists and researchers (agents of cultural reflection), along with local populations and audiences, to hear, capture and work with echoes. Artists will use these to develop new works that, once made, become resonating objects or ideas, sending their own echoes to broader audiences beyond regional borders, catalysts for more new echoes. Art and culture are essential components of society that help to foster curiosity, imagination and mutual respect. 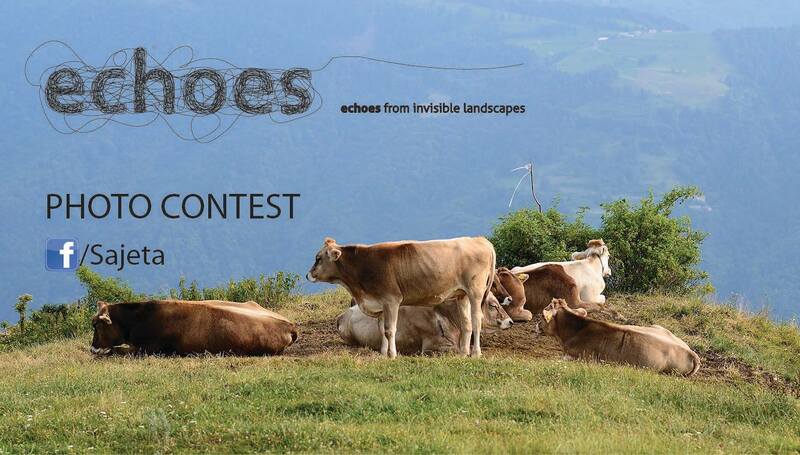 The focus on echoes and landscapes invites local and international participants to rethink established social structures regarding human relationships to our surroundings. The team of Alpen-Adria-University Klagenfurt conducts a field research project in the polluted landscape of Görtschitztal, where soil and cattle fodder were contaminated by waste from local factories. 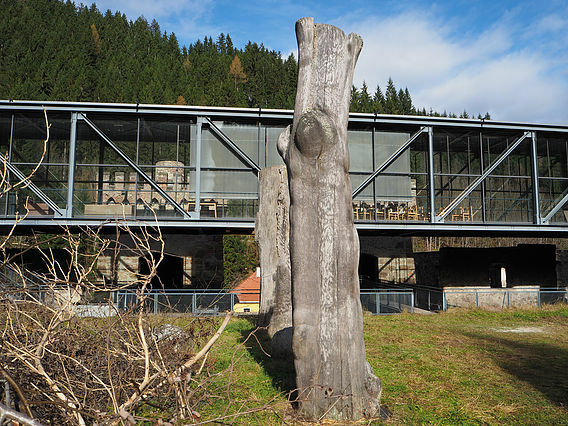 One aim of the project is to retrieve images of Görtschitztal which go beyond that of the "poisoned valley", which dominate the media reports. At the moment we gather data relating to the inside- and outside-perceptions of the echoes of this "hidden landscape". Together with students of Klagenfurt University we made fieldtrips and interviewed inhabitants of Görtschitztal to learn more about their point of view. First results will be presented in our workshop in February 2017. 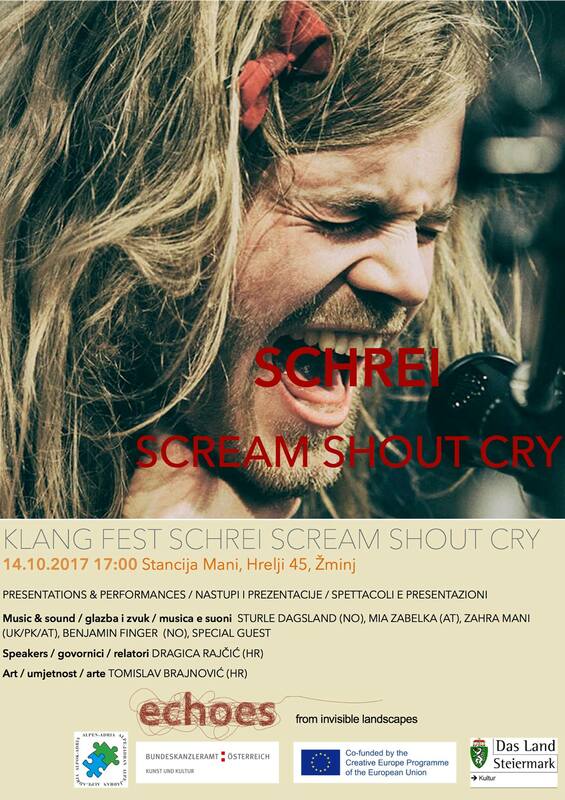 This autumn's Klangfest was held from 28 to 30 October and is dedicated to "The Sound of Europe". It is part of the project entitled "ECHOES FROM INVISIBLE LANDSCAPES“. 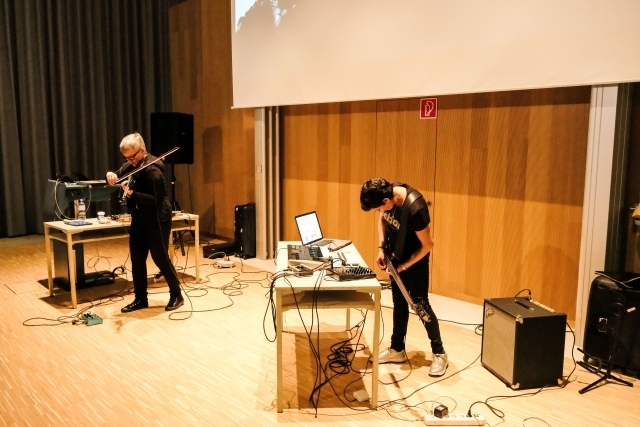 Enterprise Z's first contribution to this initiative is the project "The Sound of Europe" at Klanghaus Untergreith, where sounds, tones and noise were collected on a trip across Europe and compiled to form a sound map of the continent. These recordings made in cities including, among others, London, Amsterdam, Stockholm, Copenhagen, Berlin, Bucharest, Warsaw, St. Petersburg, Lisbon and Brussels reflect the cultural and social diversity of Europe. One central aim of this collection of sounds was to locate artistic and cultural activities that are largely undiscovered and thus "invisible". "The Sound of Europe" is a sound installation that will be presented at the Sound Gallery of Klanghaus on the three festival days. 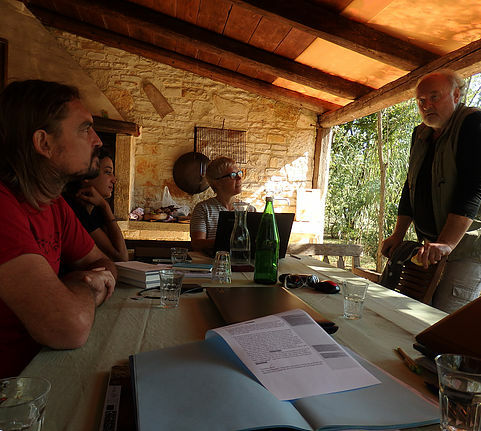 Artists and creatives who entered into resonance on these trips will present their work. 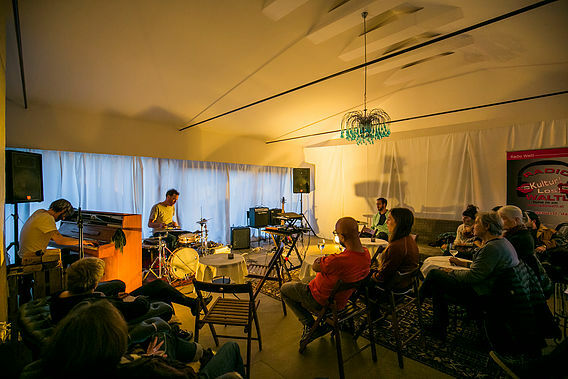 The Klanghaus lends itself as the resonating body that amplifies the echoes generated by the agents of cultural reflection and making them heard across geographic regional borders.